Based in the heart of Kingston we provide a full range of routine dental services plus a complete range of revolutionary cosmetic, restorative, orthodontic and implant dental services. Based in the heart of Kingston we provide a full range of routune dental services plus a complete range of revolutionary cosmetic, restorative, orthodontic and implant dental services. missing teeth, with natural-looking results! During your dental check up, your dentist will look for early symptoms of decay, gum disease, oral cancer and any other health issues relating to your teeth and gums. The advanced technology used by Fastbraces® was developed to provide an affordable, fast and safe treatment option to those with moderate to severe orthodontic issues. Dental implants are a restorative treatment that offers patients a natural-looking option to replace missing teeth. Dental implants are a safe and convenient way to replace missing teeth, with natural-looking results! With regular dental check-ups at Aesthetika Dental Studio we will look for early symptoms of decay, gum disease, oral cancer and any other health issues relating to your teeth and gums. Fastbraces® is a revolutionary new orthodontic system. designed to give patients straighter teeth in months, rather than years. If your teeth are crooked, twisted or misaligned then Fastbraces® could be the perfect treatment option for you. Our promotional packages are designed to give our clients the best possible treatment experience with outstanding results, at a price that’s genuinely affordable. Aesthetika dentists in Kingston, Surrey – delivering top quality cosmetic dental care and facial aesthetic treatments throughout Kingston upon Thames, Surrey. Our highly skilled team of passionate and dedicated dental professionals can cater for all your dental needs. The comprehensive dental services we offer range from routine dental check-ups, through to complex cosmetic dentistry solutions including; dental implants, full smile makeovers and veneers. We’re also able to offer the community of Kingston upon Thames a first-class emergency dentist service. At Aesthetika Dental Studio we pride ourselves on being at the forefront of dental innovation. Our revolutionary dental treatment solutions include Zoom!® teeth whitening, to Invisalign® clear braces, Fastbraces – and everything in between! Our modern dentistry techniques ensure all our oral hygiene check-ups and consultations are as thorough as possible. This gives an accurate diagnosis that our dentists can then use to recommend the best possible treatment plans for you and your individual needs moving forward. We promise to deliver natural looking results. To find out how our dental treatments can improve your smile and help to regain your confidence book a free no-obligation consultation with one of our friendly oral health experts today. We look forward to welcoming you to Aesthetika Dental Studio. 9 months ago decided to bite the bullet (excuse the pun!) and go for Invisalign treatment, this was not a immediate decision which included several visits to different dental practices discussing teeth removal, fixed braces and discomfort over 18 months. Thankfully I came across Aesthetika and Dr George after a short consultation I decided Invisalign was the treatment for me – no extraction or tram lines. The treatment was painless and pretty straightforward, 8 months on my teeth are perfectly straight and look exactly like the projected model that was initially shown to me by Dr George at the beginning of the process. The service received was first class and I would strongly recommend Aesthetika to anyone that is considering having their teeth straightened or anything else for that matter. I was very pleased with my FastBraces treatment from the Aesthetika Dental Studio. I was looking for a fast and affordable treatment to fix my dental imperfections and Dr George reassured me that the FastBraces option would be perfect for me. The treatment took exactly 24 weeks and I could not be happier with the result! Dr George and his team were very professional and friendly and I highly recommend Aesthetika Dental Studio. The whole check up experience at Aesthetika Dental Studio was something I had never experienced before. I was very impressed by the way I was involved into the whole thing. They showed me photos and xrays of my teeth on a big tv screen that made everything so clear to me. Well impressed. I feel my dento-phobic partner will finally be comfortable enough to have a checkup for the first time in years. I highly recommend Dr George Triantafyllidis as the most expert and capable Dentist for dealing with any dental issue, no matter how complex. With careful attention to every detail, George has fixed my badly aligned teeth and removed the associated pain that I’ve had for many years. I had seen many Dentists beforehand who either did nothing or simply turned me away saying it was all too difficult. George is the most skillful and charming Dentist I’ve ever come across, and I just wish I found him earlier! Best dentist in the UK. My previous dentist couldn’t handle my nerves and referred me to hospital for sedation to have root canal treatment which meant a 5 week wait in pain with an infection. The help and greeting on arrival was spot on and second to none. My shaking calmed down while Shari the practice manager I believe looked after me. Chris was a delight and explained everything and did the treatment all without sedation! Yes I was a little jittery but he put me completely at ease. And now I’m not nervous about going back to finish my treatment in due course. I’ve always been with NHS dentist but now I will move to this dental surgery as they are all amazing and well worth every penny….. thank you all so much and amazingly (I never thought I would say this) I look forward to seeing you again! Thank you. I’ve been Dr. George’s patient for nearly 2 years now and I must say he is fantastic! I have always been scared of dentists and I must say he is the first dentist I feel comfortable with 100%. He has a great sense of humour and knows how to put a patient at ease, yet staying very focused and professional! The entire team including doctors and receptionists goes above and beyond to meet patients’ needs which is very rare these days (several times had to be seen for an emergency appointment – and Dr George always found time)… If only we could have more clinics like this! My treatment at Aesthetika was my first visit to a dental practice in many years. The team was friendly, considerate and Dr. George both attentive and meticulous. His humour helped make the sessions a joyful experience, and who would ever think that of spending time in the dentist’s chair? This is a professional practice with the personal touch. Many thanks and I hope to see you all again soon. After searching for a dental surgery that could help me achieve my goal of closing the gap in my teeth I came across Dr Geoerge who offered me a very professional service and sound advice. Dr George is a very friendly, cheerful guy and puts fears/anxieties at ease, he listened to what I wanted and I now have a great smile. The surgery has a very friendly atmosphere with the staff both warm and welcoming. I would have no hesitation in recommending Dr George and Aesthetika. Five stars from me! For more information on any of our current promotions, contact a member of the team today. + a FREE set of retainers included! Book your FREE CONSULTATION today and save over £1,000! £1,000 off our Invisalign® braces treatments! Book your FREE CONSULTATION today and save a huge £1,000 on your Invisalign treatment plan! 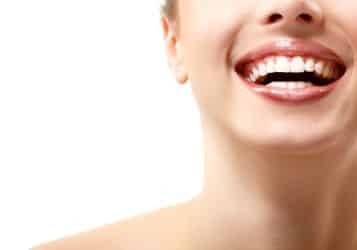 £40 off teeth whitening treatments + 50% off the second treatment! Don’t miss out, book your FREE CONSULTATION today and save over £189! 15% off all our anti-wrinkle treatments! Here at Aesthetika Dental Studio we’ve got the best non-surgical treatments to tackle signs of ageing – and all with a discount of 15%! Our anti-wrinkle treatments provide visible results on aging skin within 3-5 days. Don’t miss out, book your FREE CONSULTATION today to claim your 15% discount! Walk in hygiene service only £49! If you book with an exam, you can save an incredible £43! To receive news and offers from us and to stay up to date with our services, please sign-up to our email newsletter.